← Have You Tried Cassava Chips? 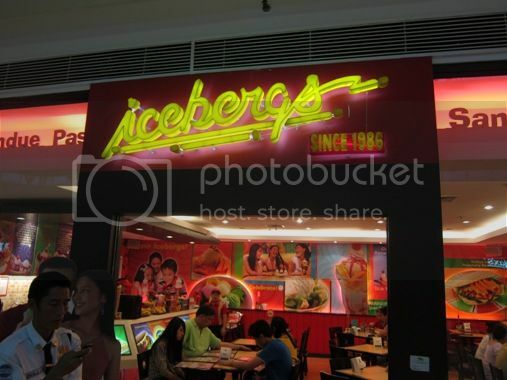 One weekend in April, we decided to have an early dinner at Icebergs in Robinsons Galleria. There were three adults and one kid. My son and I just shared what I ordered, and we just asked for an extra serving of rice. 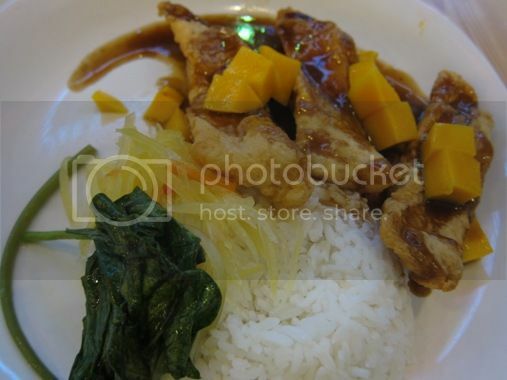 We had the following: Crispy Fish Fillet Glazed in Adobo Mango Sauce, Icebergs Famous Sisig and Salisbury Steak. 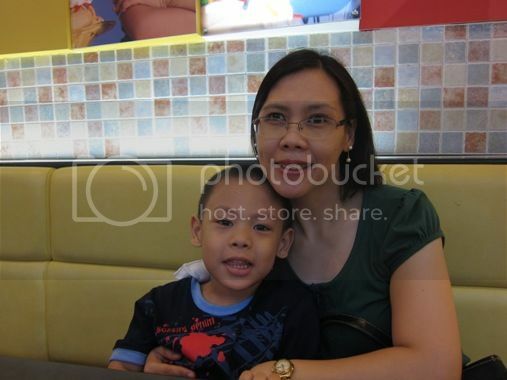 Hubby and I also tried their Caramel Flan con Hielo, and our little boy had Oreo Shake. I’ve had this before, and I liked it better the first time I tried it. The breading they used for the fish tasted a bit rancid. I finished all of it, anyway! This is hubby’s favorite and mine, too! This is actually one of the reasons why we keep going back to Icebergs. The taste is still the same, but we noticed that the serving size got smaller. This tasted okay, that’s according to Justin’s yaya, but it was served cold. Loads of creamy leche flan, macapuno balls, luscious saba, fresh ripe mangoes plus a scoop of vanilla ice cream topped with cherry and caramel creamy sauce. I don’t like beans in my halo-halo, so this one suited me well. I love the macapuno balls and the ripe mangoes, too! Of course, anything sweet is fine with the little boy, but he only took a few sips of this. The reason: he was in a hurry to go to Timezone. LOL! 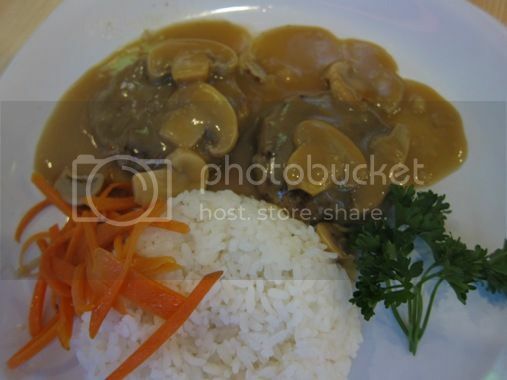 We want to try their other specialties next time. 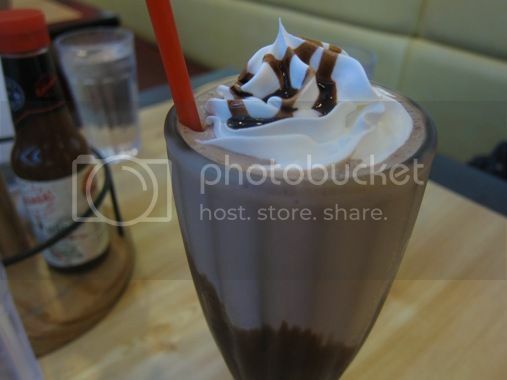 This entry was posted in Dessert, Food Trip Friday, Restaurant Review, Robinsons Galleria. Bookmark the permalink. 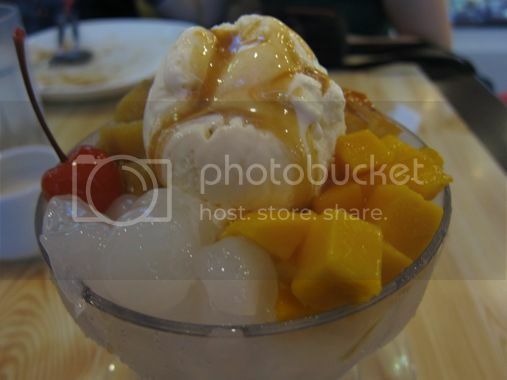 13 Responses to Food Trip Friday: Icebergs! Everything looks good! I’ve never tried having a meal at Icebergs, only ice cream. Should eat there next time. 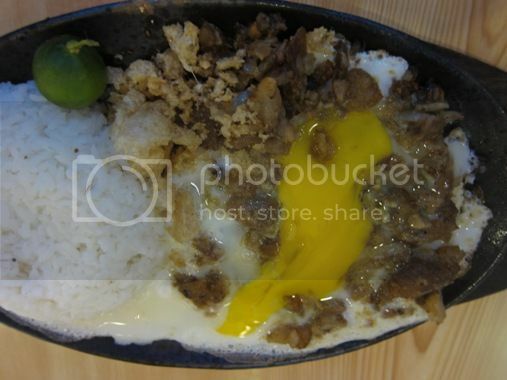 oh lalala…..grabi naman dito…super yummy…drooling! the caramel flan con hielo makes me crave for some. hayyy!